1. 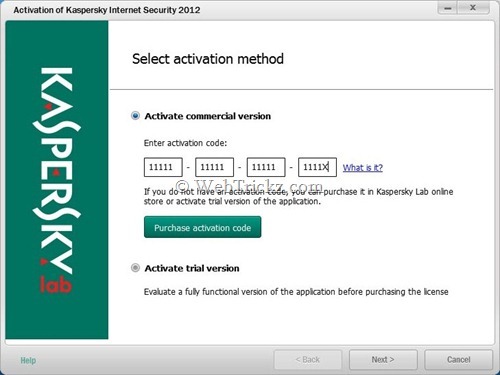 Open Kaspersky 2012 License Manager by clicking ‘Insert your activation code here’ or ‘Manage License’ (from lower right corner). 2. Click the ‘Activate the application’ button. 4. Select the ‘Activate commercial version’ radio button and enter the activation code as 11111-11111-11111-1111X. (Delete any trial key first if you want, by clicking the red X next to the license number). 5. 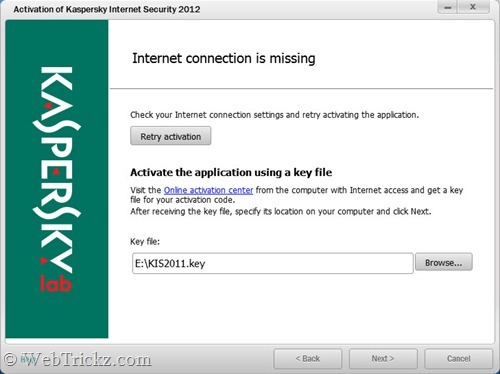 Click Next, you will then get the option to activate kaspersky using a key file. 6. Browse to the key location on your computer and activate kaspersky using a key file. You can then turn on your Internet connection. P.S. 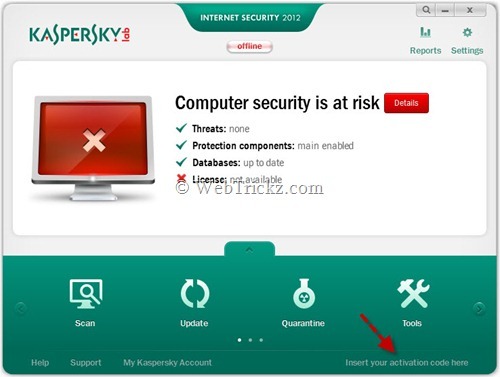 Process tested on Kaspersky Internet Security 2012 Beta (version 12.0.0.234).